Mobile World Congress, one of the biggest mobile tech shows in the world, begins in just a few short days in Barcelona, Spain. 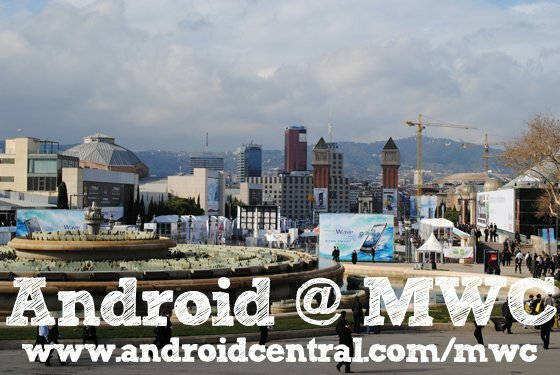 We’ll be there to bring you all the Android-related developments from the show floor, starting this Sunday, Feb. 26. As is always the case with such a big show, early details of product announcements often leak out ahead of time, and some companies even take to making announcements a few days before the event begins. We’ve covered all kinds of crazy developments leading up to this year’s MWC, and today we’ve condensed everything we’re expecting to see into one handy article. 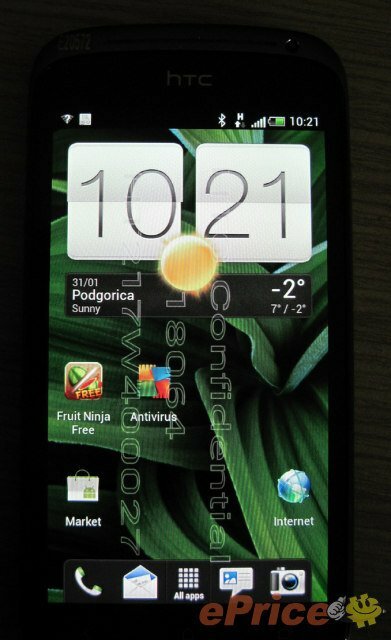 Updated Feb. 22: Fujitsu, LG Optimus 3D MAX, 4X HD and Tmo HTC Ville information. Coming out of a tricky fourth quarter, HTC knows it needs to deliver at this year’s MWC. The star of the show for the Taiwanese manufacturer is likely to be the HTC One X -- that’s the widely-reported final name for the “Endeavor,” a quad-core beast powered by NVIDIA’s Tegra 3 chip. Specs for the device suggest HTC will come out all guns blazing, with a super-thin, buttonless 4.7-inch device with a 720p display. And like all of HTC’s new phones, it’ll ship with Ice Cream Sandwich and HTC Sense 4.0. Early reports (as well as a dissected RUU) indicate the One X itself may be coming to AT&T in the U.S.
Alongside the One X, HTC will reportedly debut a new mid-range handset, the One S, and an entry-level phone, the One V. We’ve already seen plenty of leaked information on the One S, previously know by its codename of “Ville.” We’re expecting similar specs to the HTC Sensation XE, albeit in a slimmer chassis, and (hopefully) at a lower price point. As for the One V, this 3.7-inch device is said to closely resemble last year’s Desire S, and should take its place as HTC’s budget offering for 2012. Interestingly, the One S is rumored to be T-Mobile-bound in the U.S. So you’ve got a high-end phone, a mid-range phone and an entry-level phone, with unified branding to make it more clear which is which. And if HTC’s efforts are successful, we’d expect to see the HTC Two X et al. at next year’s show. But it’s not just phones we’ll be looking for at MWC. Rumors in the past few weeks indicate that HTC may be working on its own music streaming service (behind the Beats Audio brand, in all likelihood), to compete with the likes of Spotify and Google Music. On a similar theme, there are also reports of a Beats Audio-branded Bluetooth speaker or speaker dock, with some sources suggesting that the One X will include special contacts for use with such a device. Trademark applications have also hinted at a possible HTC gaming hub being included in future phones. The manufacturer has been keen to integrate its own services like HTC Watch and HTC Read into previous phones, so we wouldn’t be shocked to see either this, or a streaming service baked into Sense 4.0. The final possibility is a bit of a long shot, but unconfirmed reports suggest the rumored “HTC Quattro” quad-core tablet may see the light of day under the name “HTC One XL.” Details are sketchy though, so take that one with a pinch of salt. First up is the Xperia P, which is believed to be Sony’s main mid-range phone for 2012. The Xperia P, previously codenamed “Nypon,” is outfitted with internals which would’ve been called high-end just a few months ago. Reports suggest a 1GHz CPU, a 4-inch qHD screen and a tasty 8MP EXMOR R camera. Next there’s the Xperia U, previously known as “Kumquat”. Just as it did with its 2011 line-up, Sony is keeping things simple hardware-wise. 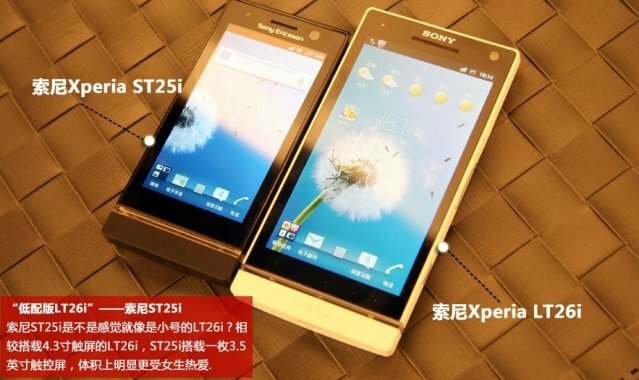 The Xperia U is reported to be a smaller (3.5.-inch) version of the Xperia P, with a 5MP camera in place of the beefier sensor on that phone. Similarly, the MT27i “Pepper” may make an appearance. The Pepper, too sports almost identical hardware to the Xperia P and U, according to reports, with the only major difference being the bump up to a 3.7-inch screen. We haven’t heard much about the Pepper lately, though, so there’s a chance it may end up being a no-show at MWC. Speaking generally, now that Sony Ericsson has been absorbed back into Sony, we’d expect to see a lot more integration with other Sony products in the manufacturer’s 2012 smartphones. Think Music Unlimited, Video Unlimited and PlayStation in particular, as Sony looks to strengthen its position under the leadership of Kaz Hirai. If we had to make a completely unfounded, baseless guess about what Sony might surprise us with in Spain, our money (such that it is) would be on a refreshed Xperia Play making an appearance. It probably won’t happen at MWC, but if it does, we’ll get to link back to this article and look all smug for predicting it. LG has wasted no time in spilling the beans on its MWC lineup, and it’s had some help along the way, in the form of unofficial leaks of numerous unannounced devices. Let’s start with what’s already official and out in the open. LG’s answer to the Galaxy Note, the Optimus Vu, will be shown off for the first time in Barcelona. We have to admit, we’re surprised to see anyone taking on the Note directly, but Samsung’s local rival seems poised to do just that, bringing to market a 5-inch, 4:3 aspect ratio device with capacitive pen input. LG has produced great hardware in the past, but we haven’t been alone in our criticism of the company’s software. We’re hoping LG can pull out all the stops and deliver a fast device with a compelling stylus experience. Next up is the LG L-style series -- namely the Optimus L3, L5 and L7. Borrowing a few design cues from the LG Prada 3.0, the L-style series consists of three slim, angular phones at three different screen sizes -- 3.2, 4.0 and 4.3 inches. Internal specs remain unknown for the moment, but we should know more in the days ahead. The Optimus 3D MAX has also been unveiled, bringing some modest improvements on LG's earlier 3D effort, with a thinner chassis and slightly bumped specifications. Indifferent as we are about 3D on a phone, we’re intrigued to see how far LG's efforts have gone towards making glasses-free 3D a less headache-inducing experience. But LG will be hoping to make its biggest splash with its new flagship device, rumored to be called the Optimus 4X HD, previously known by its codename "X3". A possible follow-up to last year’s Optimus 2X (and T-Mobile G2X), the 4X HD reportedly runs a quad-core Tegra 3 processor on a 720p NOVA display. Interestingly, early leaked screenshots from the device show near vanilla Android software, giving weight to the suggestion that this may become the latest installment in T-Mobile’s G-series. LG seems to be paying a lot of attention to the industrial design of its latest batch of handsets. It’s already made a public commitment to this with the announcement of the L-style series, and leaked renders of the X3 and the 3D MAX show equally thin and square designs, a marked improvement from the black plastic slabs of old. 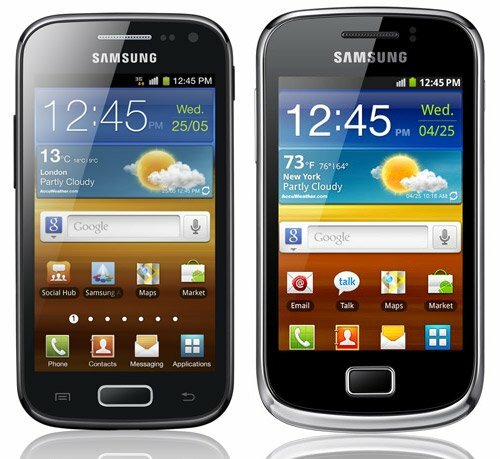 Samsung is set for a relatively quiet MWC this year, with no big press conference and no Galaxy S III on the show floor. However, there’s no denying that the leading Android manufacturer already has plenty of current and upcoming phones and tablets that’ll likely be on show. To name just a few, there’s the Galaxy S Advance, Galaxy Mini 2, Galaxy Ace 2, Galaxy Tab 2, Galaxy Tab 7.7, Galaxy Tab 7.0 Plus N, Galaxy Ace Duos, Galaxy Y Duos, Galaxy Y Duos Pro, plus whatever Bada stuff is currently floating about. So Samsung has plenty of phones and tablets already waiting in the wings. But that doesn’t mean we haven’t heard a few rumors surrounding possible surprises. The most significant of these cropped up in early February, with an official Samsung website (and unofficial casting call) referring to a Galaxy Note 7.0 and Galaxy Note 10.1 -- in essence, a Galaxy Tab with a Galaxy Note-style pen. Samsung’s previously indicated that it’s open to including its “S Pen” tech in larger devices, so it’s entirely possible that we could see a new breed of Galaxy Tab with pen input. Moto, like Samsung, has plenty of already-announced products, and we’re not expecting anything huge to be unveiled from the soon-to-be Google-owned manufacturer at MWC. The Defy Mini and Motoluxe will be there, but that’s probably about as exciting as it’ll get. The only rumors surrounding Motorola at MWC have been dubious at best. A leaked render for an alleged Motorola-built, Intel-powered ICS phone emerged a few weeks back, with claims of an MWC unveiling. But this contradicts Moto CEO Sanjay Jha’s talk of carrier testing for Intel phones over the summer, meaning a Q3 release at the very earliest. Motorola likes to unveil stuff in the U.S. first, anyway, so we think it’ll be CTIA (March) before we see any major developments from them. After all, the RAZR and RAZR MAXX are just a couple of months old at this point. The past few months have seen Huawei go from an also-ran to a potential contender in the mid-range and high-end Android space. We’ll probably see more of the Ascend P1 and P1 S, both thin, sleek-looking dual-core phones with a near-vanilla Android software experience. And both are said to be launching soon in Europe and Asia, so we’ll probably get to play with them again, just like we did last month at CES. But this month’s show may see the Chinese manufacturer taking a shot at the super-high end smartphone market, with a series of devices reported to carry the “Huawei Diamond” branding. Specs are rumored to include a quad-core CPU, though the reasoning behind this is shaky (basically, one of the models has a Q in its name). Late-breaking rumors also suggest that a 10-inch Huawei Mediapad may be on the way, as the company looks to compete with the bigger players in the Android world. A recent addition to the Android OEM family (in the West at least), Panasonic will show off its new super-thin, super-light dual-core Eluga smartphone, which will be launching in Europe later this year. We’ve also heard rumors of a second Panasonic handset coming at MWC, with beefier specs, a Lumix-based camera and a screen powered by a new display technology. And Fujitsu is rumored to have its own high-end smartphone for Europe ready for launch at MWC. Reported specs include a quad-core Tegra 3 CPU, a 4.6-inch screen and a 13.1MP camera, along with Android 4.0. Interestingly, it's also supposedly water and dust resistant too, a feature common to many high-end Japanese phones. Neckbeards of the world rejoice, Ubuntu for Android is here! And Canonical will be showing it off at MWC! Ubuntu for Android allows you to hook up your Android-powered smartphone to an external monitor and keyboard, and use it just like a full-blown Ubuntu Linux desktop. It's a complete desktop experience, with Chromium for web browsing, Mozilla Thunderbird for email, and full, seamless access to your Android apps, videos, photos and music. Needless to say, we're pretty excited about the possibility of carrying a full-blown desktop OS around on a handheld device, so we'll be sure to check this out in Barcelona. So that’s what we’re expecting to see, Android-wise, at this year’s Mobile World Congress. Keep it locked to AC in the days ahead for full coverage throughout the event, starting this Sunday morning, Feb. 26!